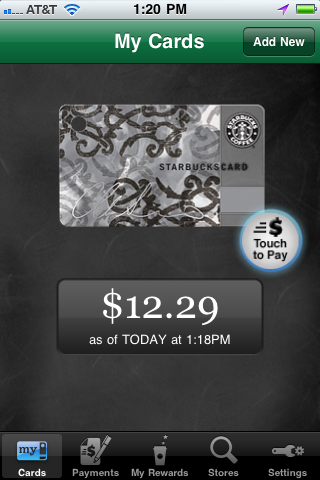 If you are a Starbucks fan you need to download the Starbucks mobile app. It makes it so easy to reload your card and now you can even pay with your phone! The other day CSP & I were in the drive thru at our local Starbucks. Before we left the house I reloaded my card via the app but when I handed the card to the drive thru dude he said there wasn’t enough money on the card, the reload hadn’t gone through yet. He asked did I have the mobile app and just scanned my phone! So cool! 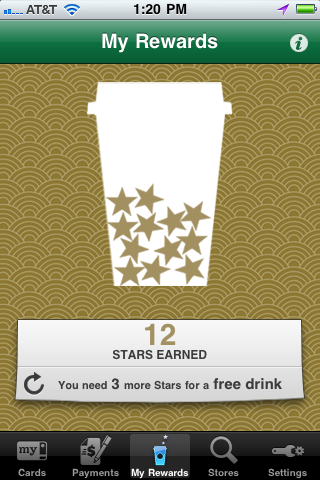 I also like how I can keep track of how many stars I’ve earned and how long til my next free drink!